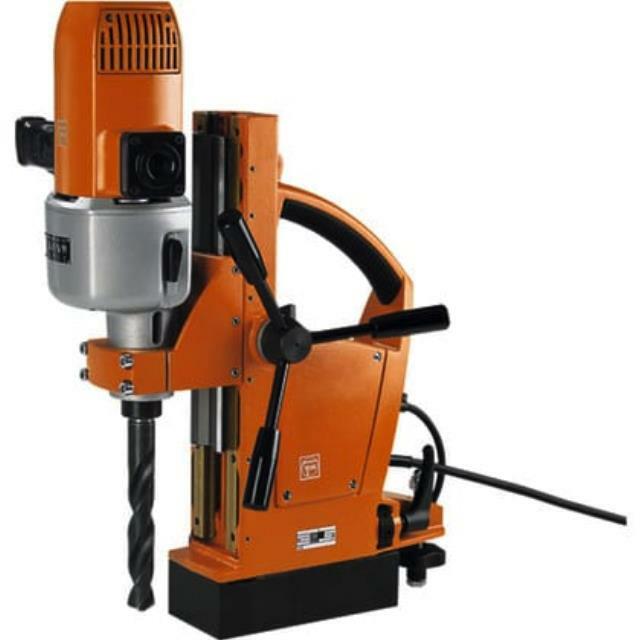 Uses: Used for drilling through heavy steel sections (Portable drill press). Ideal for overhead work in steel fabrication. Features: Small and large sized avaliable. 16mm cap. small mag. base. No3 morse taper large. Variable speed.